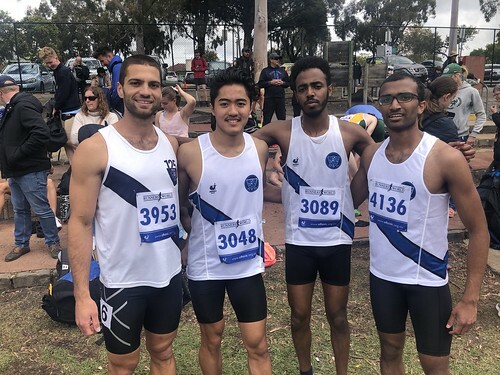 Ten teams of MUAC athletes fronted up to Hagenauer Reserve for the first big championship opportunity of the season, and one of MUAC’s focal points for the summer of track and field. We aim to be involved in every open championship race over the weekend and in the hunt for as many medals as possible. 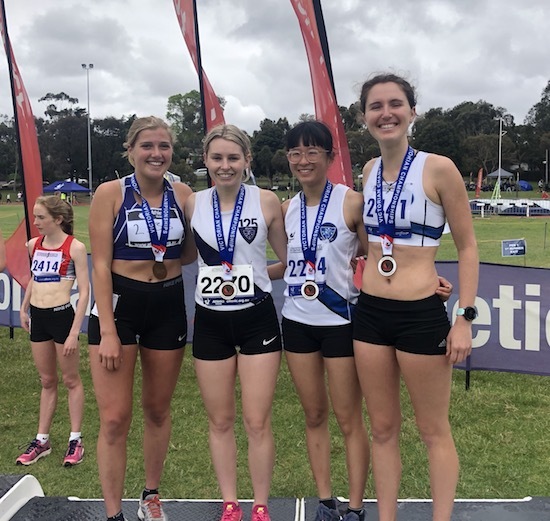 The first race of the day delivered bronze for MUAC, with Amy McCormick, Ruby Turner, Maddy Button and Danielle Zhang running well to take third in the 4x1500m. The MUAC men, led by the redoubtable Isaac Hockey were thirty seconds faster over 4x1500m than last year but were pushed down to sixth place in a high quality field. Zhang backed up from her 1500m to anchor home the medley relay team of Liz Ruach, Ash Iyer and Isabelle Ewert to a creditable 11th. The MUAC medley men, Hamed Aljuma, Merhawi Minassi, Liam Schreck and Michael Dardis place one better in 10th. 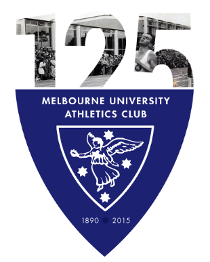 Our 4x400m men found themselves just three spots outside the final and a run at Zatopek with some good running by Jarrod Pageot, Dhilan Chandresekara, Arie Chen and Merhawi Minassi, with our 4×100 teams similarly close to the finals finishing 10th in the Women (Kira Davey, Evana Karapetis, Ash Iyer and Isabelle Ewert) and 14th in the Men (Jarrod Pageot, Dhilan Chandresekara, Liam Schreck, Hamed Aljuma). The 4x800m team of Jack Hughes, Al Perkinson, Nick Parkinson and Pete Gaukrodger came up against a stacked St Kevins team and took a creditable 6th. A big shout out to Liz, Adam, Eugene and Pete for their work organising the teams and to all the athletes who stepped up and supported the sash. MUAC will be back in action this weekend with Round 7 of AV Shield, the penultimate round for 2018 and the start of the second half of the AV Shield season.